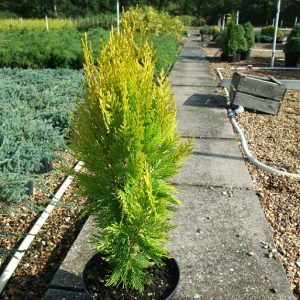 Cream coloured spreading evergreen bush. Cream coloured spreading evergreen bush. 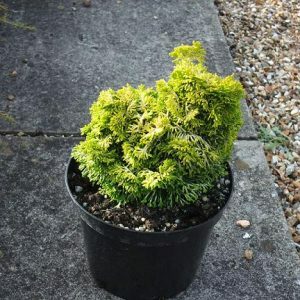 Foliage is a most unusual colour, habit is spreading with slightly upright growth. Easy to prune and keep in check, will spread up to 30cm a year. Best in full sun with free draining soil. 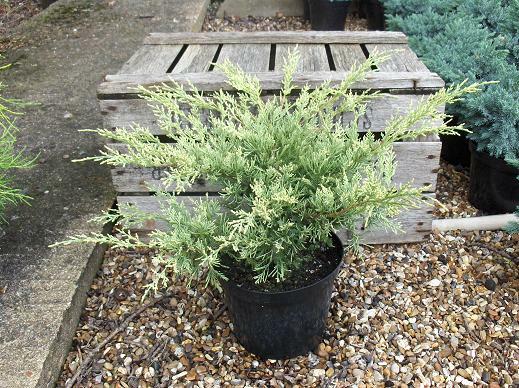 Works well with other fairly low evergreen shrubs, comifers and heathers.